While spring can make the weather unpredictable nationwide, Oklahoma tends to receive the most severe swings, ranging from both temperature changes to the chance of rain. 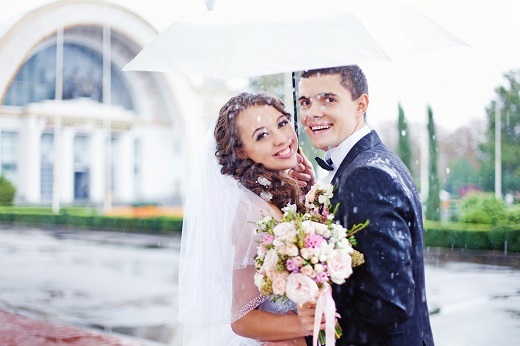 For this reason, it is important to invest in an indoor venue or have a backup plan for one if your wedding is outdoors to avoid these spring wedding problems. Don’t gamble on your special day only to have it ruined by unpredictable weather changes that are out of your control. Many couples will skip the winter season when choosing their wedding date which leads spring dates to fill up incredibly quickly. Not only could this impact your venue choice if you don’t book in advance, it could limit the access you have to vendors required to fulfill your wedding date needs. This can also lead to price surges that make planning the perfect wedding more expensive than previously thought. When spring arrives, so too do a multitude of insects that could ruin your wedding day. This is particularly problematic if your outdoor wedding is at a location that allows guests to be bit by mosquitoes or stung by bees or wasps. If you are having your wedding an area that is particularly prone to pesky insects, consider having it at an indoor venue instead to avoid potential problems.